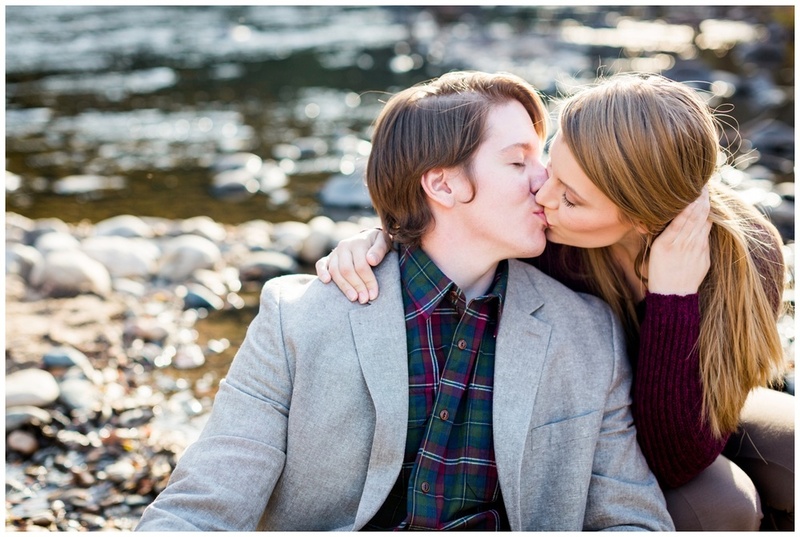 When Jeronimo called me to set up an engagement proposal session for his girlfriend Ashley I was instantly floored! I can't imagine a better way to preserve the memory of such a big moment in life. Saying yes to the one person you will spend the rest of your days with. Extra perks include being able to show your friends and family who weren't present what it was like, and being able to look back 30 years later. 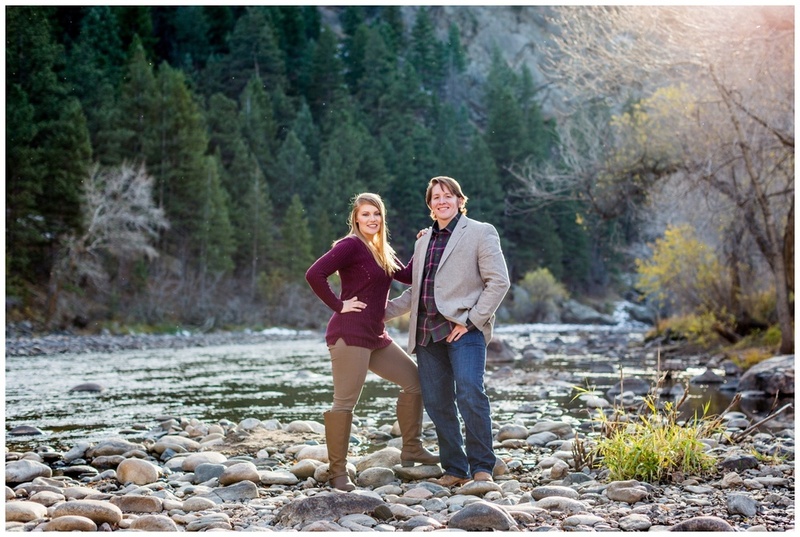 Ashley & Jeronimo arrived in Poudre Canyon late in the afternoon this past Sunday to meet me for their session on an absolutely gorgeous fall day. I could tell he was feeling some nerves, but he concealed them well from Ashley. In fact, she showed no signs at all that she knew what he was up to which in my opinion is half the fun. I love surprises! 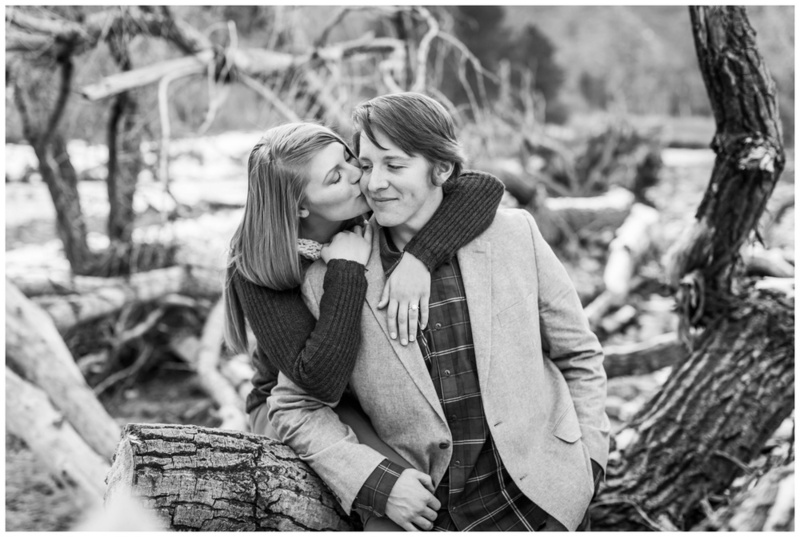 Her face said it all as he pulled the ring box from the inside pocket of his jacket and knelt down on one knee. Ashley started crying and rushed to give him a hug and a kiss. With a huge smile on her face she looked at the ring a little closer and her jaw dropped. It was perfect. She shouted at me "Ashley did you know?!" Of course I did! 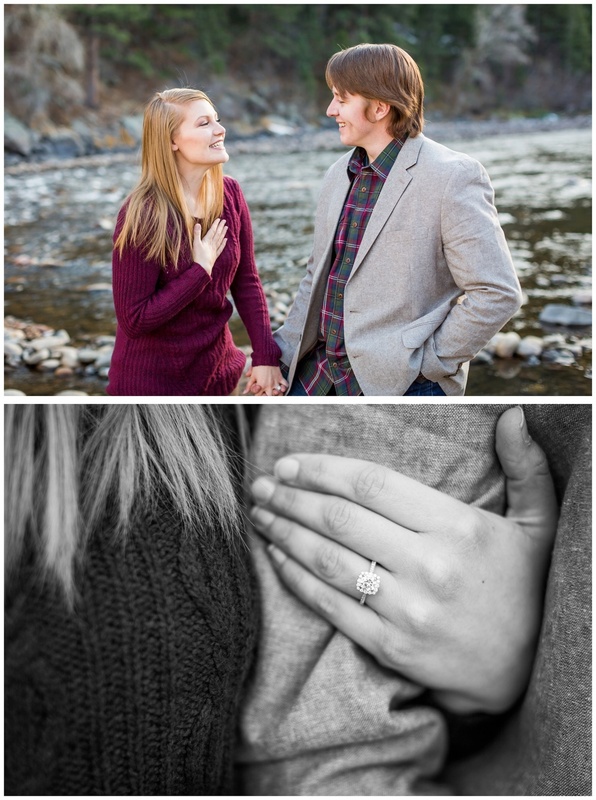 We continued to photograph their engagement for about another hour or more as the sun fell behind the mountain peaks in Poudre Canyon. 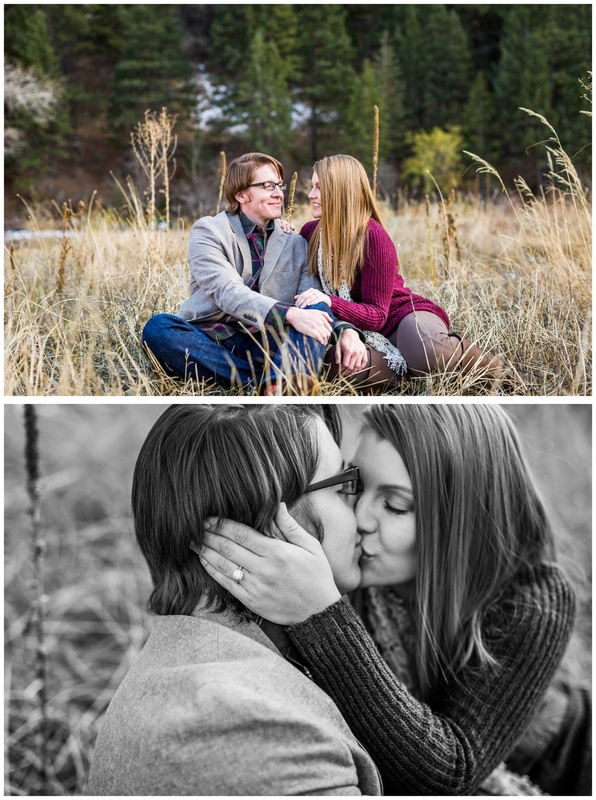 There was something really special for me about photographing a couple who had just become engaged minutes prior. They were extra snuggly, had super smiles on their faces, and were up for anything. 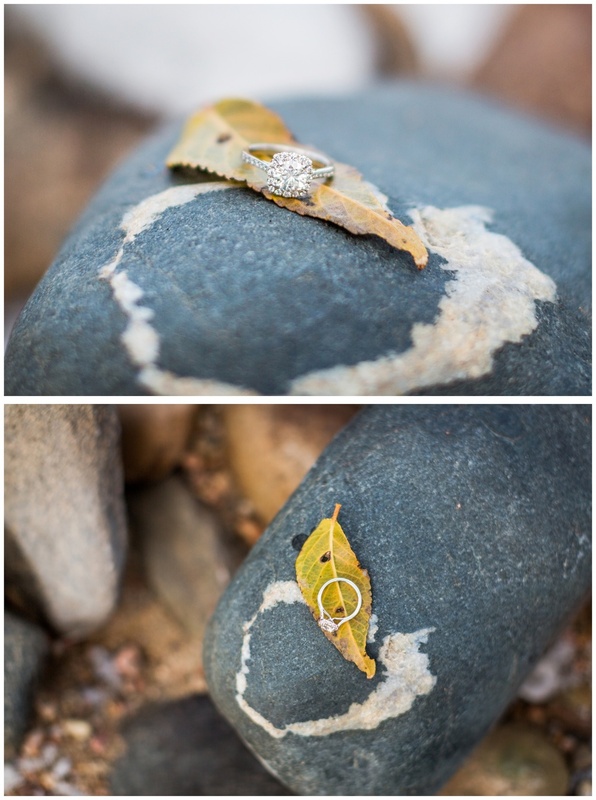 Mostly, Ashley's eyes held some extra sparkle, just like the new ring on her finger. Congratulations and best wishes to you both! Welcome to this new season of life together.